Cairns has grown over the last few years into one of the most popular tourist destinations in Queensland, Australia. Cairns has become so popular due to its incredible climate and access to the Great Barrier Reef. If you’re headed on a Great Barrier Reef adventure, start your trip with Limoso. We offer airport transfers, car services, and limousine hires in Cairns. 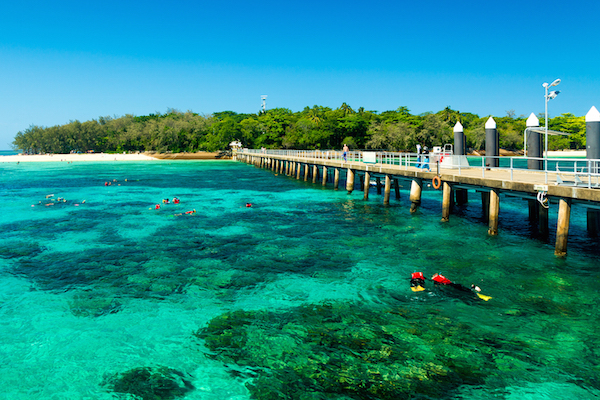 Start your getaway to Cairns; visit the Great Barrier Reef and the Wet Tropics World Heritage Rainforest. Other points of interest include Atherton Tableland, Cairns Pier, Cairns Central shopping centre, Kuranda Scenic Railway, and more. Reserve transportation throughout the Cairns Region including Port Douglas, Palm Cove, and Mission Beach. Limoso provides limousine hires for wedding limos, prom limos, executive travel, private celebrations, events & conference logistics, and more. Our fleet includes stretch limousines, Mercedes Benz, luxury sedans, people movers, mini buses, and coaches. Book a limo hire for any occasion or any sized party in Cairns with Limoso Limousine Service. We offer airport transfers from Cairns Airport, which is located in Aeroglen, 7 kilometres north of the Cairns central business district. Don’t worry about driving, car rentals, or parking with a Cairns Airport limo service. Airport transfer services are available to hotels in the Northern Beaches, Palm Cove, Port Douglas, Cape Tribulation, and more. Leave the driving to Limoso! Check out our fleet of luxury of limousines, sedans, people movers and coaches! Limousine services 24/7, 365 days a year! Ready to book limousine in Cairns? Get started with our simple online reservation portal now!